Which shows how simple is is to adapt a simple shape to make other alternative toys. Using felt means there are no awkward seam allowances and it is so lovely to embroider felt. I always use wool felt not the squeeky acrylic felt, and beside anything else the colours are so much more wholesome. 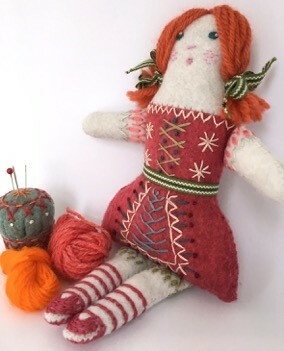 This doll takes very little materials and effort to make. She can be made in any size you like really too … and in any costume! 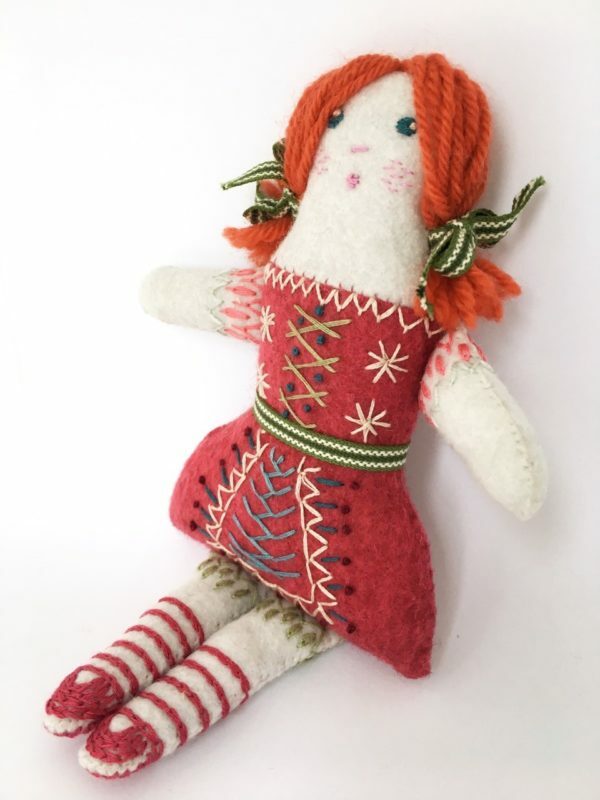 The PDF includes: pattern, stitch guides and stitch map and fully illustrated instructions on how to make up the doll. IMPORTANT NOTICE This design is the copyright of Nancy Nicholson and it is for personal, non-commercial use only. You can print it as many times as you wish and keep or give away the finished ones, but do not share the digital file, also finished work cannot be sold for profit (eg. do not sell them at a craft fair). Artwork may not be altered. This file may not be redistributed in any way. 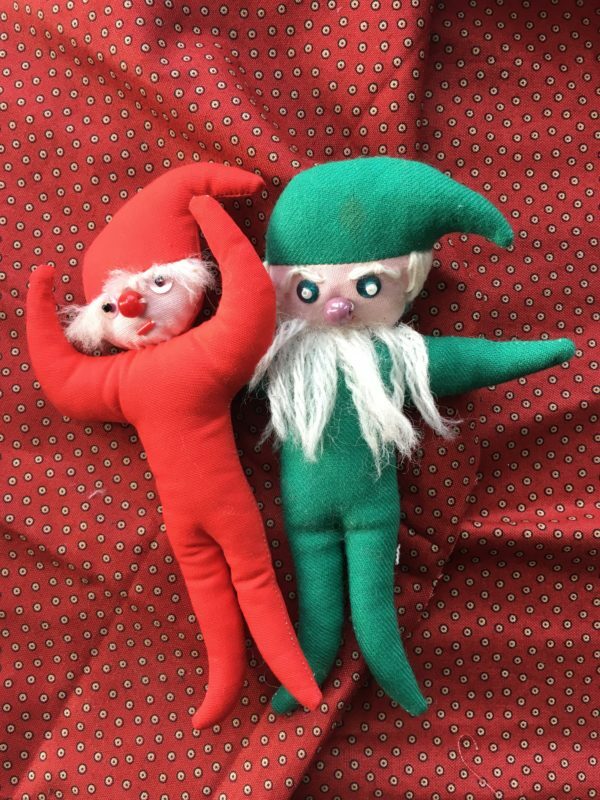 Below are some of her dolls … the two leprechauns I used to play with in my dolls house, always a comedy element … and the little boy doll was also part of the family, hence his rather dishevelled appearance considering he is now over 50 years old! The skittle doll I have treasured for many years as she has a simplicity which still manages to look rich and crisp after so long. The little on on the end was one of many she made in her latter years with a weighted bottom so she could sit on a mantelpiece happily swinging her legs. There are many more which I might share at a later date. 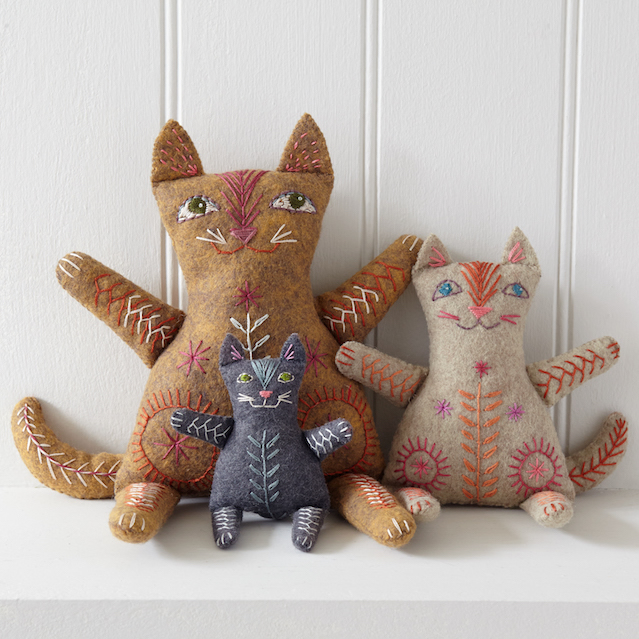 Cat Family sold as a kit and as a downloadable pattern. This entry was posted in Blog and tagged cats, Download patterns, Embroidery kits, Felt toys, hand embroidery, Modern Folk Embroidery, new kits. 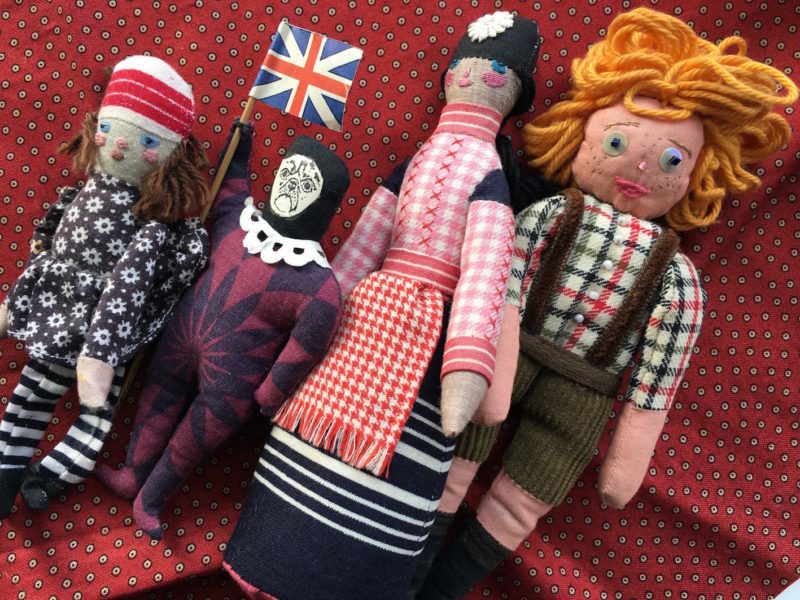 Embroidery Workshops starting in March!